The holiday season is one of the busiest times of the year for us, particularly with drain cleaning, toilet repairs and other plumbing repair works. with the increased amount of guests and family in ones home, it can take a toll on the plumbing system. Santa Barbara hot water heaters are working overtime with the added number of showers begin taken, garments being cleaned, and dishes being washed or run through the dishwasher. We recommend waiting a little bit between showers if several are to be taken back-to-back. The same goes with picking times to run the dishwasher and washing machine as well. Drains particularly have it hard, for we are carrying out Santa Barbara drain cleaning far more frequently, with the added amount of people utilizing ones plumbing. It is also a fascinating time to see the number of toys and things that kids accidentally attempt flushing down the toilet too! 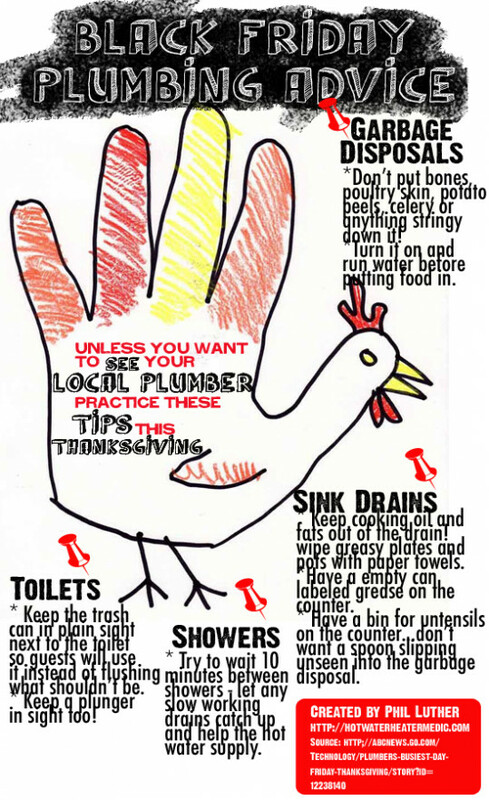 Below is an infographic that will certainly provide some recommendations on how to handle ones water heating and plumbing this holiday season.